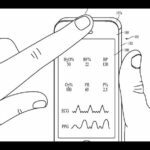 Apple has today been granted a patent by the United States Patent and Trademark Office (USPTO) for a unique method of concealing external sensors on devices. The invention employs a concealing structure to partially conceal a sensor, light emitter or other component by preventing reflection of external light by an underlying structure. 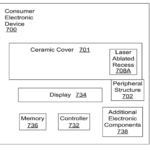 The patent application, entitled “Method and apparatus for concealing sensors and other components of electronic devices” describes an elaborate two-component masking assembly which includes a linear polarizer to cause linear polarization of light from the exterior of the device to an underlying component, and a “wave plate” to shift the axis of any reflected polarized light. A high density optical fluid could also be included within the masking assembly to minimize reflections from the other components of the assembly. 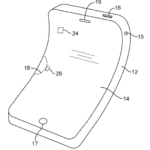 The invention describes methods to conceal sensors and other components of electronic devices, particularly to concealing the presence of sensors that require placement in a location of a device that allows transmission of light in the visible and near-visible spectrums. Examples of which include cameras, infrared sensors, ambient light sensors, indicator lights, etc. A better design could be achieved if the location of these components could be at least partially concealed from view. However, such concealment may be problematic, since the passage of light through any intervening structure or surface is necessary for proper functioning of the optical devices. 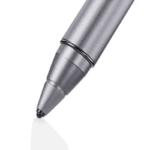 An example of an existing concealing structure for some types of devices includes a region of micro-perforations formed in a surface. Conventional micro-perforation configurations, however, allow for relatively limited transmission of the available light therethrough, and therefore may not be suitable for all concealment applications; and in some cases may be relatively complex and expensive to produce. In one of several examples, Apple describes an optical mask arrangement which includes an indicator mounted in a key of a keyboard, so that an upper surface of the key has an apparently unbroken black finish, but displays a backlit letter, indication, or icon when the indicator light is switched on. 1 How are the sensors concealed? How are the sensors concealed? 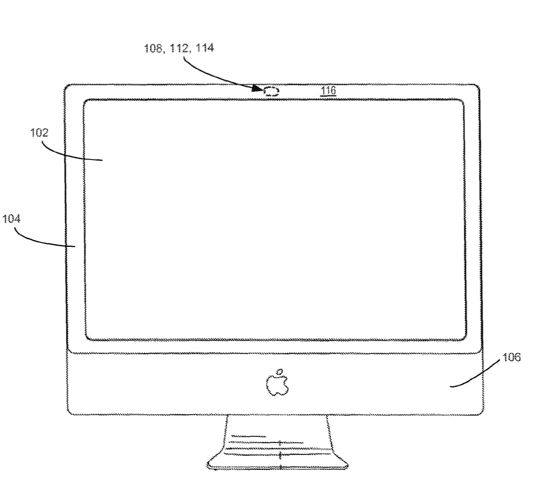 In summary, it’s stated that the invention provides a concealing structure by preventing reflection of external light. This could be performed by a linear polariser and a wave plate, in addition to a mask between the two components which includes high optical density fluid which has a refractive index greater than air. The whole assembly allows light to pass through an aperture to the optical sensor below, but impedes the passage of light from the outside of the device which has passed through the mask and would otherwise be reflected back outwards. 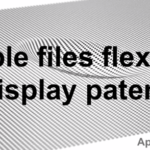 Judging by the patent text, it’s a unique approach, but it does require some understanding of the properties of polarisation and advanced masking structures. 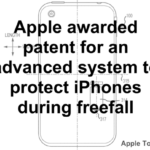 The patent is an interesting read, but it’s not clear whether any of the methods described are yet used in any of Apple’s products. 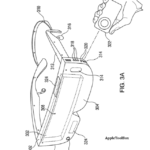 Apple credits David Thomas Amm (Morgan Hill, CA), James J. Dudley (Sunnyvale, CA) and Peter Henry Mahowald (Los Altos, CA) as the inventors of U.S. patent application number 8,915,596. 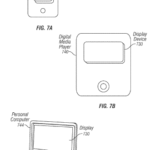 Apple was also awarded other patents recently, including synthetic fingerprint generation and a 3D display.